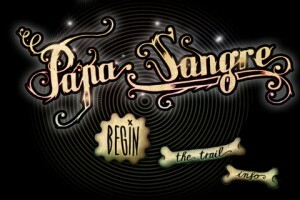 Somethin’ Else’s Papa Sangre [$4.99] has been on our radar since it was originally released in mid-December. With a recent sale and an official nomination in the “Most Innovative Game" category at the International Mobile Gaming Awards, I figured it’s high time we gave Papa Sangre a closer look. Admittedly, I initially thought Papa Sangre was a nifty little binaural tech demo. After all, the game has no graphics short of a basic menu system and interface, but if you let your imagination go with it you will be in for a treat. Let’s back up a bit and get in to what exactly binaural audio is, in case it’s something you’re unfamiliar with. There’s a number of ways it can be recorded, from two appropriately spaced microphones to actually using a dummy head with fake ears. The resulting product, when listened to with headphones, will provide a shockingly convincing 3D effect for the listener. Wikipedia, unsurprisingly, has a really interesting article on how it all works. The premise of Papa Sangre is great. The game takes place in the world of the dead, where your eyes are useless. Thankfully, your ears work fine. You’re on a quest to save the soul that belongs to a loved one, and doing so involves making your way through Papa Sangre’s underworld “seeing" with your ears. 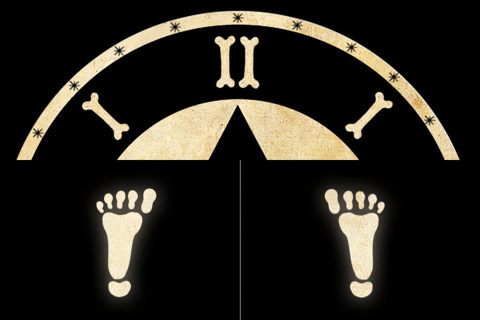 Your control is limited to buttons for each of your feet, which you can walk or run with by alternating tapping them either slow or fast. Additionally, there is a dial of sorts that you swipe on the top of the screen to turn your character in game. At its most basic, you need to walk towards a sound, which you can hear in the distance. Doing so involves swiping to spin the dial until the sound seems to be coming from in front of you, then alternating your right and left thumbs to walk to it. As you get closer, you might need to make adjustments with the dial to not miss the sound. Once you do, it’s off to the next level. (Most levels also have multiple sounds that need to be located before they’re over.) Of course it isn’t that easy though, as the game quickly throws various enemies in game that all make sounds that you need to avoid, as well as different types of terrain. This terrain sounds different, and you might make more or less noise walking on some ground, which can lead to the enemies in the level being able to quickly locate you if you’re not careful. What you get out of Papa Sangre is directly related to how much you’re willing to get immersed in to the game. This means playing with your eyes closed, and letting your imagination do the rest. The game is wonderfully narrated before the start of each level, explaining your surroundings and the enemies you need to avoid. An early level sets you inside of a room covered in discarded finger bones which you must run over, and it’s just really cool imagining what that room actually would look like to go with the sounds that you’re hearing. Even though Papa Sangre is really cool, I’m not sure how strong of a recommendation I can give it. It’s a great experience, but I think you need to be in the proper state of mind to enjoy it, and even then I’d lean more towards describing the game as “this is really neat" rather than “this is really fun." Regardless, it’s still a great concept, and I’d totally stand behind the IMGA nomination for its innovative gameplay. If you like strange games, or are intrigued by the binaural nature of this game, consider giving it a shot. If nothing else, this is just something really unique on the App Store that more people should be aware of.